Feed once a day, an amount your fish will eat within a few minutes. Carnivorous fish may resist a new type of food when changing from live foods or less protein rich diets, continued use will assure acceptance. Care should be taken to avoid over-feeding and always remove uneaten food after the feeding period. 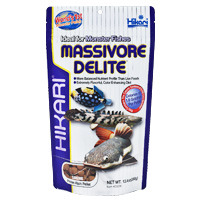 Note:®HIKARI TROPICAL MASSIVORE DELITE™ contains higher levels of natural ingredients which may cause a slight change in color from one production lot to another. Rest assured because of our rigid quality standards each package meets our superior nutritional specifications. Developed, produced and packaged in our facilities so we can be assured you’ll always get the ®Hikari quality you expect! 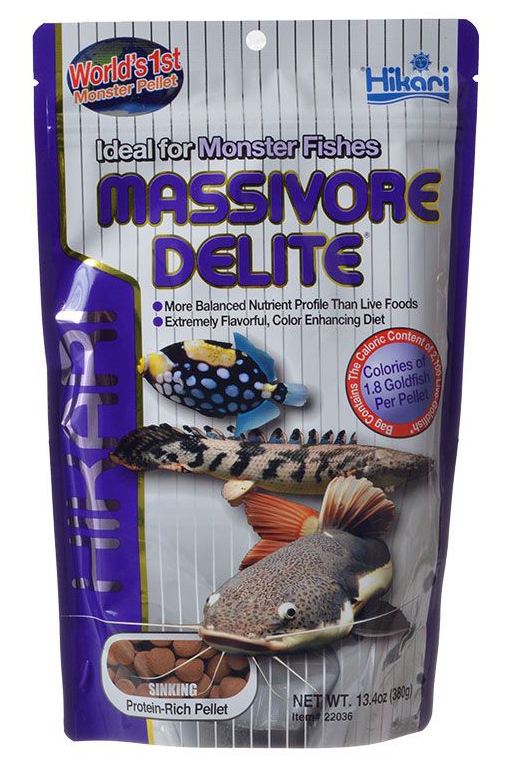 Super-sized bottom feeding carnivorous fish especially red-tailed cats, sharks, polypterus(bichirs), eels, and carnivorous plecostmus that are normally fed live foods.